1) Mom's One Line a Day Journal: This is such a great gift. I received one last Christmas from my cousin, and it's been a great way to keep track of each day of our family, and specifically special moments and milestones with Halle. Baby girl will turn 5 by the time this book is done, so who knows, it may even include the pregnancy and birth of a second baby. What a great thing it will be to share with Halle and any future babies we have! 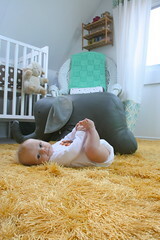 I highly recommend this as a memorable gift for a Mama-to-be! 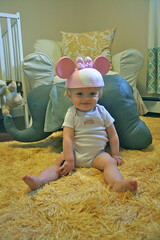 2) Teethease Teething Jewelry: The one is a two-for! Not only is a great pretty piece of jewellery for Mama to wear, but it's super functional. 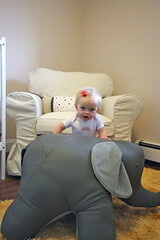 What a great way to help out a Mama on the go with a teething baby. No more searching for tethers lost in those big ol' diaper bags, it will always be on hand. You can read the full review I wrote up here, but I have to say, I own one and I swear by it. I highly recommend this as a great gift! 3) Baby's First Year Calendar: I honestly think this is one of the best gifts I received! There are so many options out there, so you can find one that suits the Mama to be. Our's was gifted to us by B's Mom, and it was Winnie the Pooh. It was undated, so we filled in the month and dates for each month which is perfect, you can literally use one calendar for baby's entire first year, and it comes with cute little stickers that you can place for big milestones. 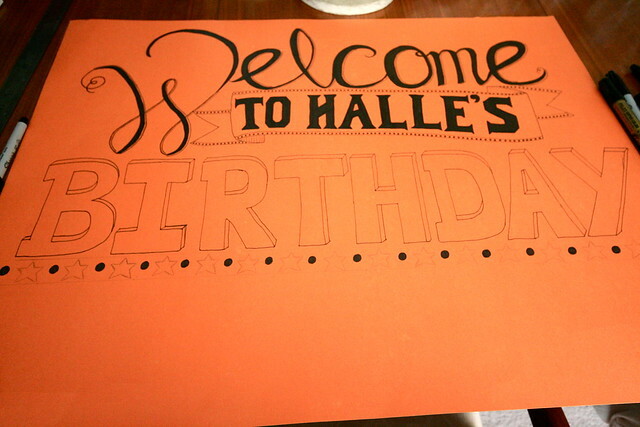 I loved filling our's out, and it will be a great thing to share with Halle when she's all grown. 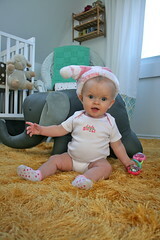 4) Jolly Jumper's Pashmama: I bought this for myself after Halle was born and I'm so glad I did. I had a very small bib for nursing her originally, but the Pashmama is large and makes nursing while your out and about so much easier. You can wear it as a stylish scarf, and when needed it completely covers up you and baby. 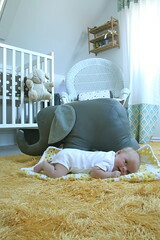 It offers so much privacy, and it made me feel a lot more comfortable when Halle needed to feed right away. This is such a great gift for a Mama on the go! 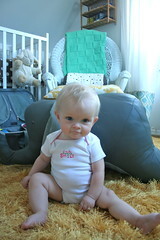 5) Baby Sling: We didn't have a sling when Halle was tiny, only a carrier which she wasn't a huge fan of. Looking back now though, I do wish we had, had one. Halle wanted to be held at all times, which made it extremely difficult for me to accomplish anything around the house. I honestly think if we had, had a sling it would've made life so much easier. 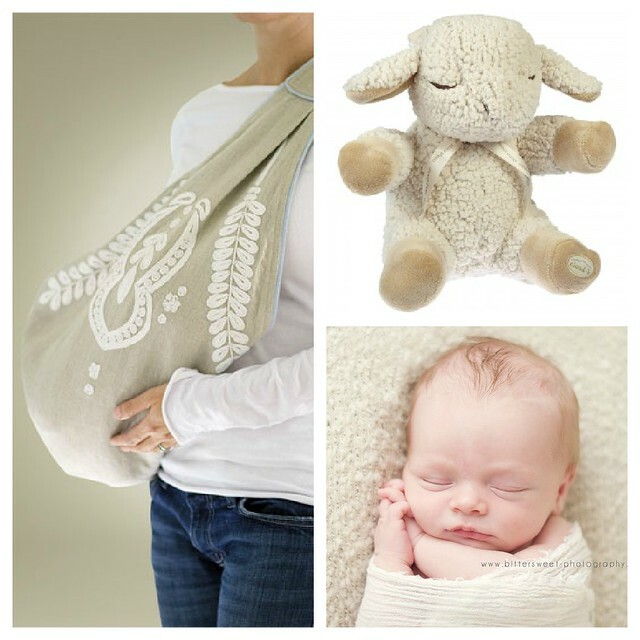 The one pictured above is a Serena & Lily sling, from Nordstrom, but there are so many options out there, so maybe find out if Mommy-to-be has a certain sling she's been eyeing. 6) Sleep Sheep: We received the sleep sheep at our shower, and let me say it is still one of my favourite things! 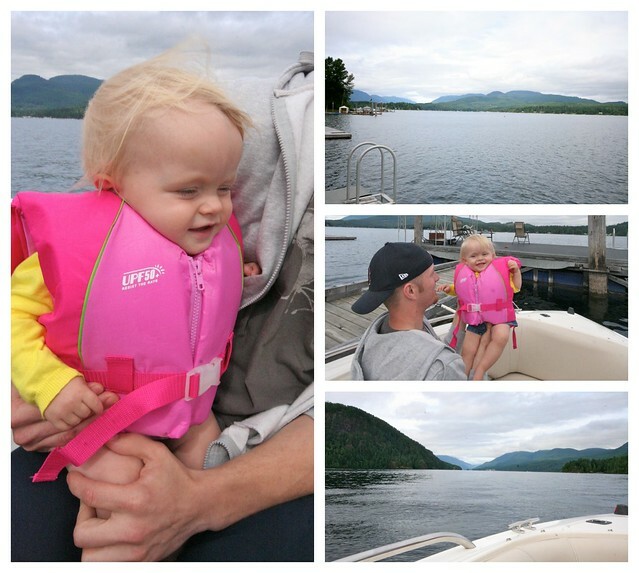 We use it every night for Halle, and she loves the soft sound of the waves crashing. Even B and I don't mind the sound of it coming through her baby monitor at night - the sounds are so soothing and relaxing and really help a drowsy Halle doze off to sleep. It comes in full size, and travel size, so whatever you think would work best for Baby and Mama, I am sure would be appreciated! 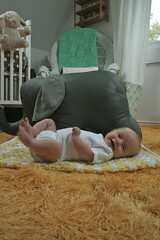 7) Baby Photos! 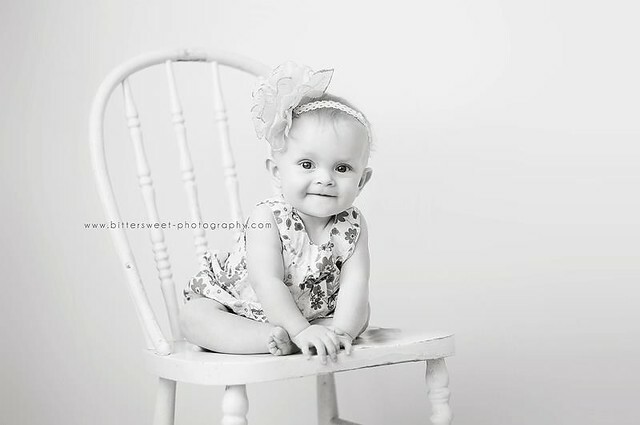 : Halle's baby photo's (pictured above and taken by Nicole of Bittersweet Photography), are still some of my favourites. I honestly cherish them, and have a few displayed throughout the house. 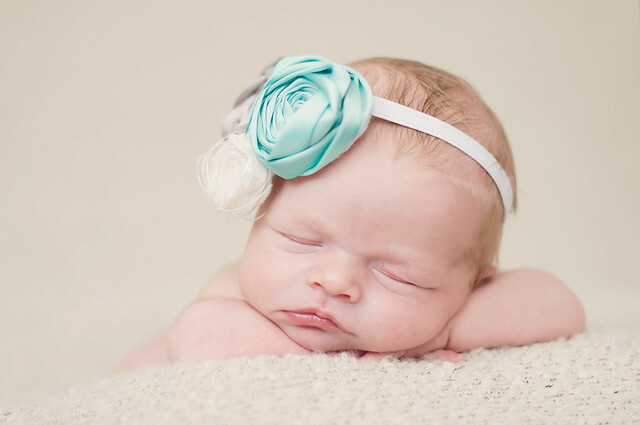 I think that newborn photos are so great to have, and if your Mama to be isn't considering getting some done, why not get some family and friends to pool some money together and purchase them a gift certificate for a nice session, and maybe even some prints afterwards. I can't think of any Mom that wouldn't love the gift of memories! 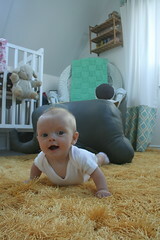 So there you have it, a quick round-up of some of my favourite gifts for new Mom's. 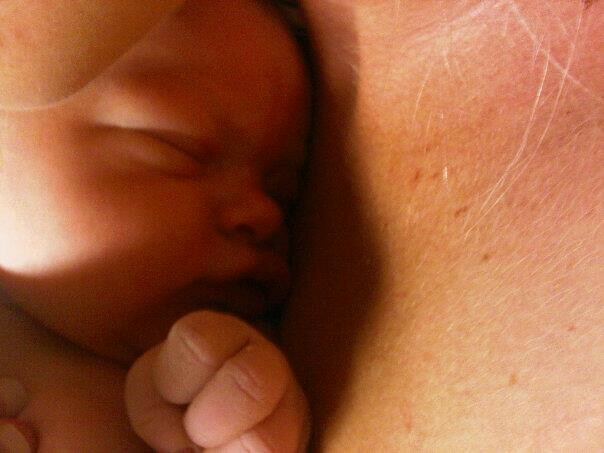 What are some of the best gifts you received when you were pregnant/ a new Mom? What are some of the well received gifts that you, yourself have given? This post was not sponsored and all opinions and thoughts are my own. All recommendations are based on my own experience and I was not compensated in any way for including this products in my round up. 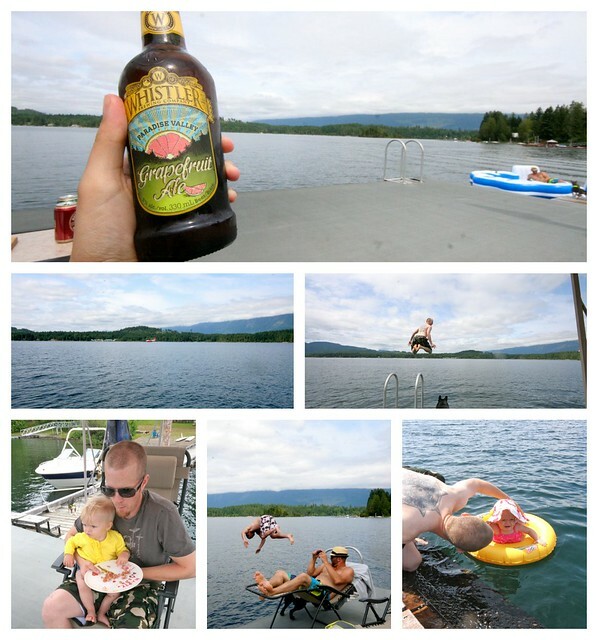 I could've stayed there forever, enjoying the sights and sounds of the lake, but it was time to come home and today I'm playing a little bit of catch up around the house. What did you get up to this weekend? 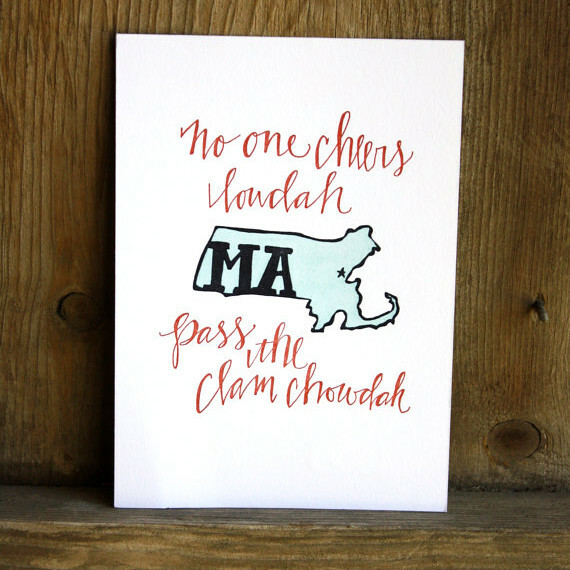 These letterpress state prints, from One Canoe Two are so charming and witty. I really think B would appreciate the Massachusetts print. (found via Oh So Beautiful Paper). 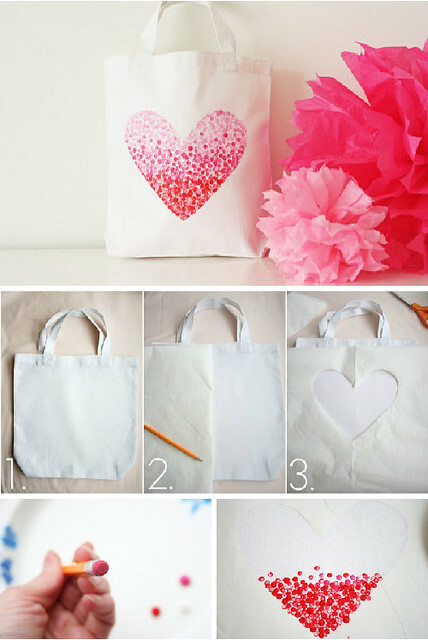 Love this little DIY tote bag, spotted on Eat.Live.Shop, from V and Co. Would be great for bridesmaids, out of town wedding guests, or even loot bags at a party. 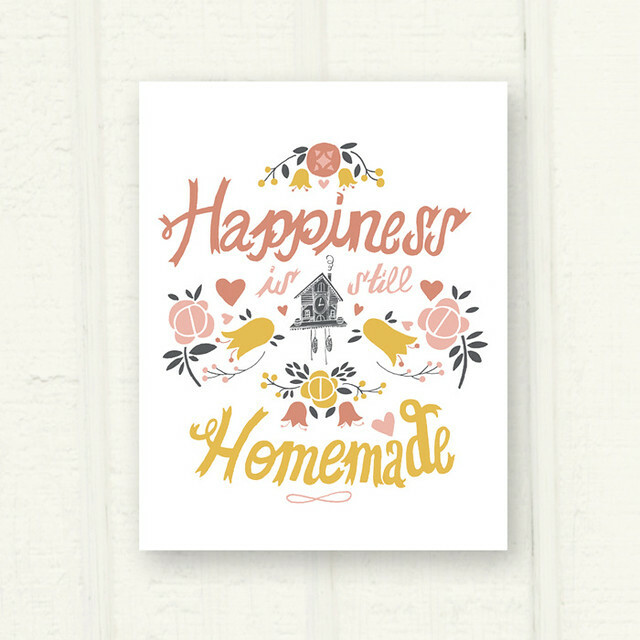 Isn't it sweet, plus it's pretty easy for those who aren't overly creative! A gorgeous living room, designed by Cynthia Walker, featured on House of Turquoise this past Tuesday. 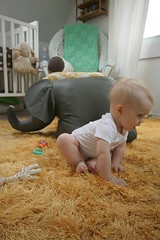 Did you catch Ameila's nursery reveal this past week? It looks so sweet - go take a look for yourself! No post made me smile more than this one over on 79 ideas. 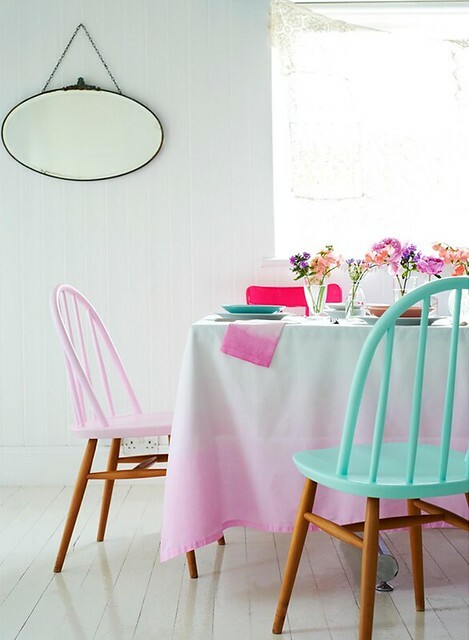 Love those chairs, adore that table cloth and those curtains, totally inspired by that table setting. I mean - could it be any more lovely? 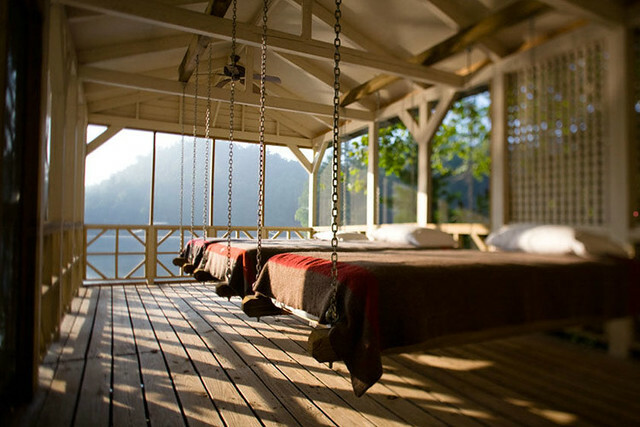 I want to wake up tomorrow and have breakfast in that space, don't you? Well, after such a busy week I think we deserve this relaxing family weekend. 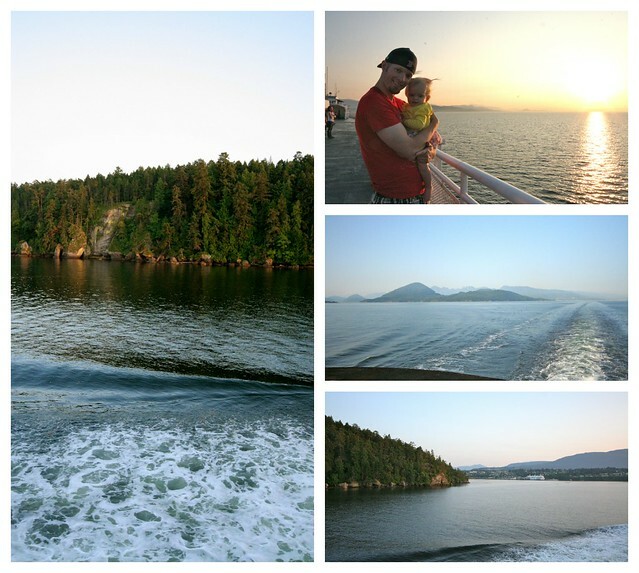 We are currently living the life over on Vancouver Island with some new friends. 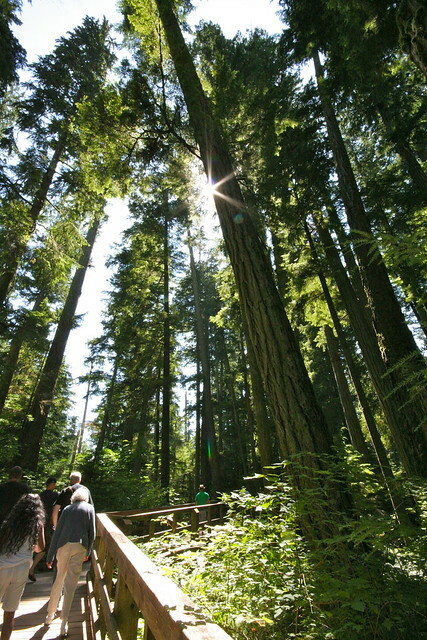 Enjoy all that the West Coast summer has to offer, at a beautiful cottage. 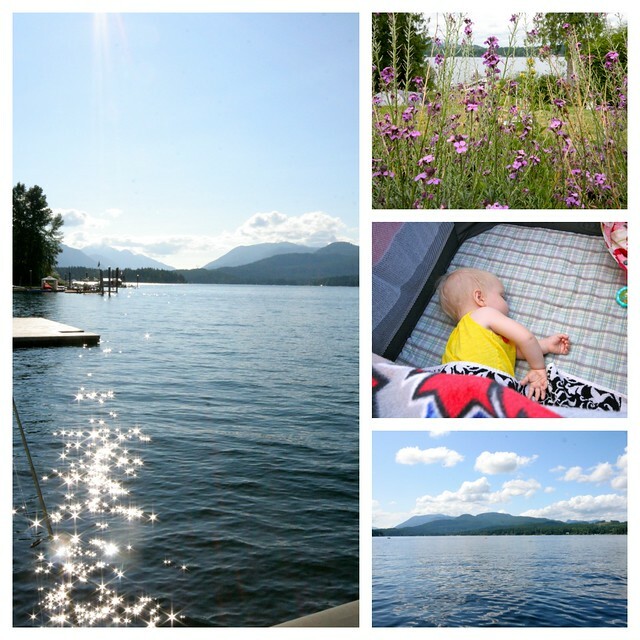 I'll be back with some photos on Monday of our new adventure and Halle's first cottage trip. What are you up to this weekend? Visiting any cottages? 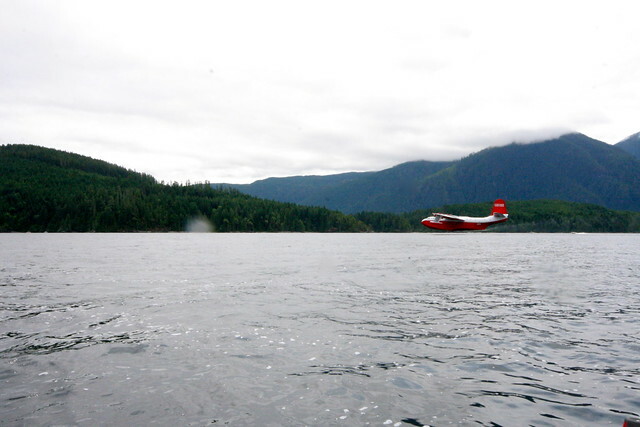 Spending some time on the water? Whatever you do, stay safe and enjoy! So, we've made some great progress on part 1 of "Mission Dress the Walls". 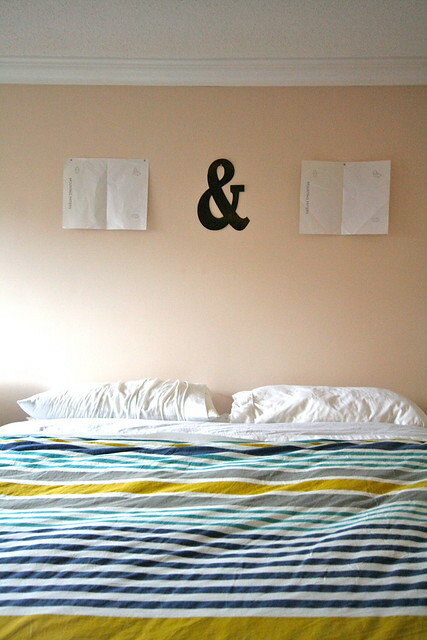 Last week I shared with you the ampersand that my father created for us to use in our Master Bedroom. 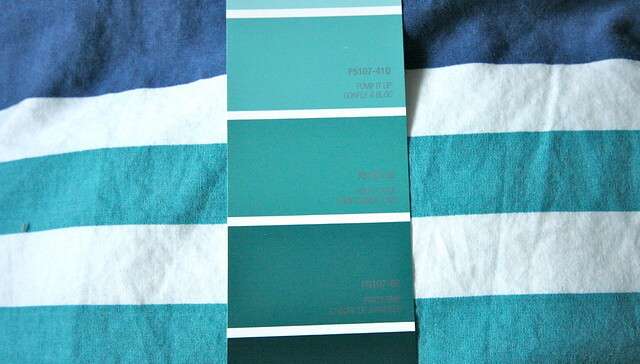 My original thought had been to paint it one of the colours found in our West Elm duvet cover. I even went so far as to pull out all of my paint swatch books, and colour match it to one of the colours in the Para Paints deck. After a bit of consideration, I realized maybe going neutral would be a better idea. This would mean that we would be able to move it freely around this home, and any future home, and not have to worry about whether it would match, or if we would need to repaint it. 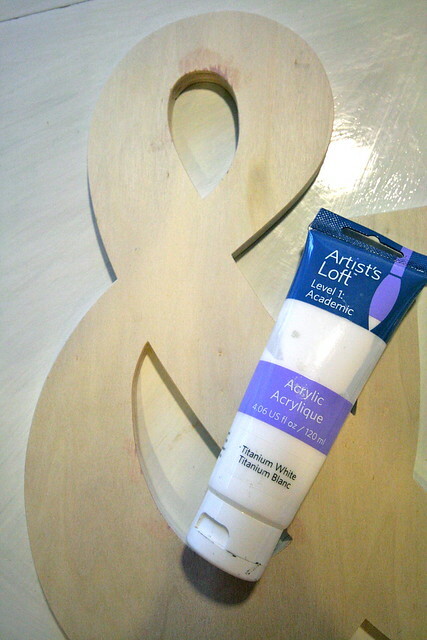 Plus, with white paint already on hand, my project would remain free, and who doesn't love a project like that right? So, last Friday while Halle was napping, I pulled out my paints and got to work on it. I let my first coat dry very well, and just as I suspected, the wood really soaked up the paint and a second coat was very necessary (and a third). In the end, B and I stepped back and agreed that white was the way to go. When I was all done, B came in and started measuring and discovered I was pretty much bang on. I gave myself a little pat on the back for that one. He did have to make a few adjustments and spent some time realigning and levelling everything. Even though they were still empty, I wanted to get the frames up on the wall on Friday night. 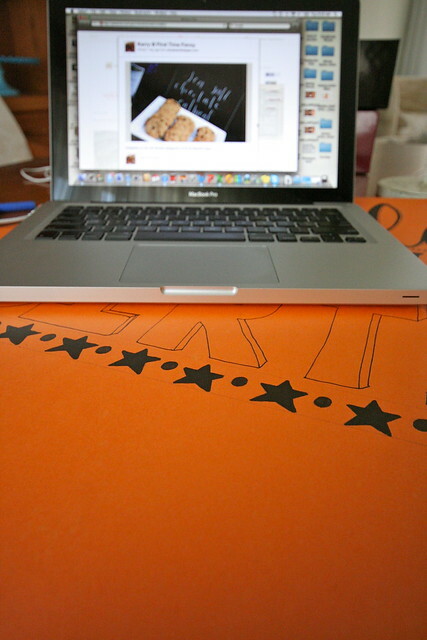 I knew that having them up there like that would force me to get the photos printed as soon as possible. 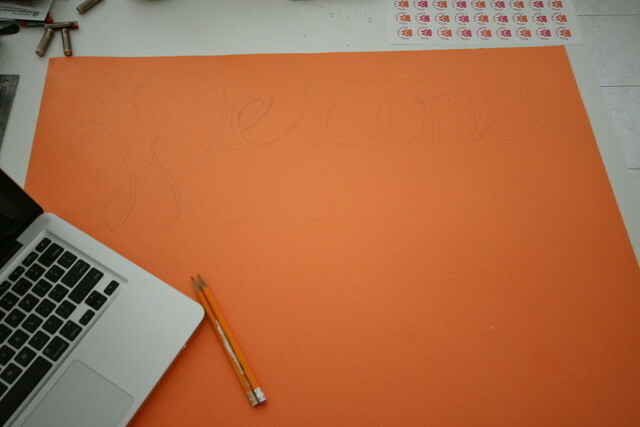 The stencil also stayed right where it was, as we still needed to figure out how we wanted to hang the ampersand. 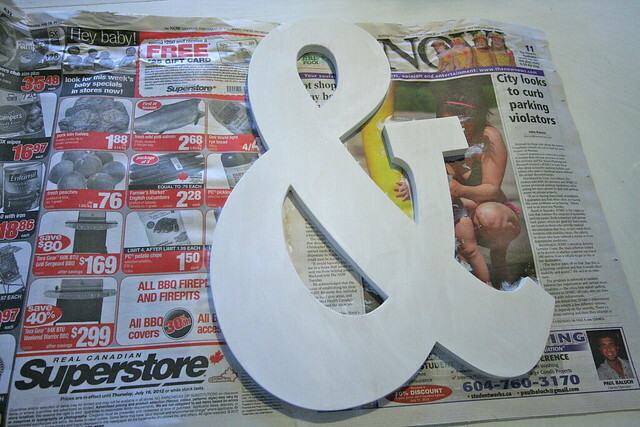 Yesterday, Halle and I made a trip to Home Depot and I did some searching for different options to hang the ampersand. In the end I opted for some 3M picture hanging strips. Now, everything may be up on the wall (still without photographs), but I can't reveal anything more to you yet. I know that seems like a big tease, but we actually have another project underway in our bedroom that I'm not prepared to reveal to you yet either... so you'll have to be patient and I will reveal both soon. I'll just say the bedroom is starting to look more and more like an appropriate master bedroom retreat. 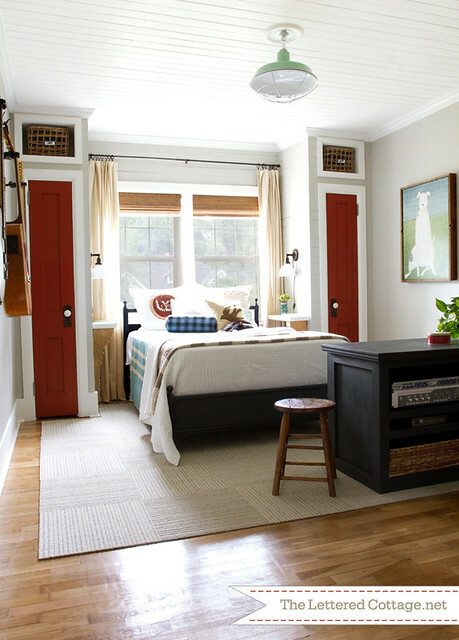 What have you done in your master bedroom to make it feel like your own space? - Clearly, she is walking. 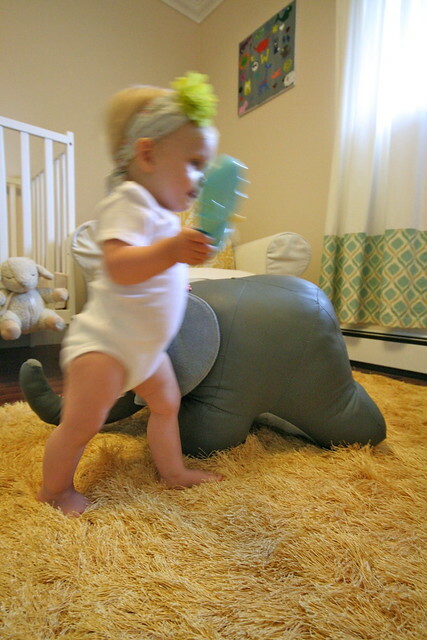 She motors around here pretty good, walking halfway across a room before she'll go to her bum or her hands and knees. 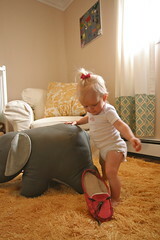 Her confidence is growing and I know it won't be long now before she prefers walking over crawling. 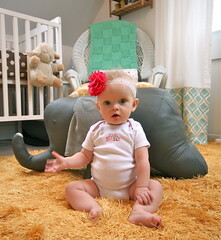 - She has four teeth, and it looks pretty cute! The gummy smiles were cute... but I'm enjoying these teeth smiles just as much! - As far as food goes, the days are hit and miss. Somedays she will want to try whatever we have, other days not so much. We're still not getting too many veggies into her, but she loves her fruit, grains, meat and dairy - so the majority of the major food groups are getting into her every day. - She is very vocal. Blabbering a lot, and I'm pretty sure we're getting "dat!" and pointing... asking us what "that" is. So we do our best to tell her what everything is that she looks at and points at, and sometimes we are rewarded with her attempt at repeating us. What an incredible (and sometimes trying) year it has been! I know that this next year will bring even more challenges in taking her photo, but she is such an inquisitive little girl, that I am okay with that. I can't wait to explore more and see the world through her eyes! 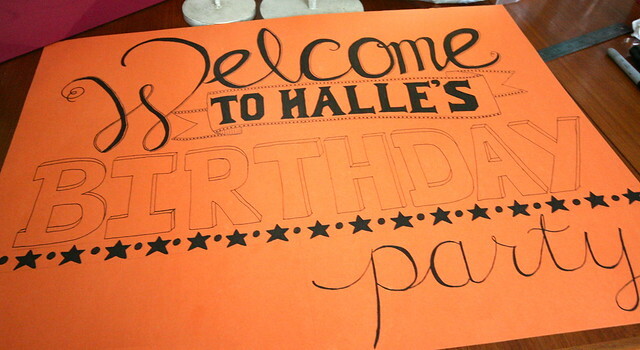 While I was still visiting back home, I worked with my Mom to get a bunch of stuff ready for Halle's party next month. 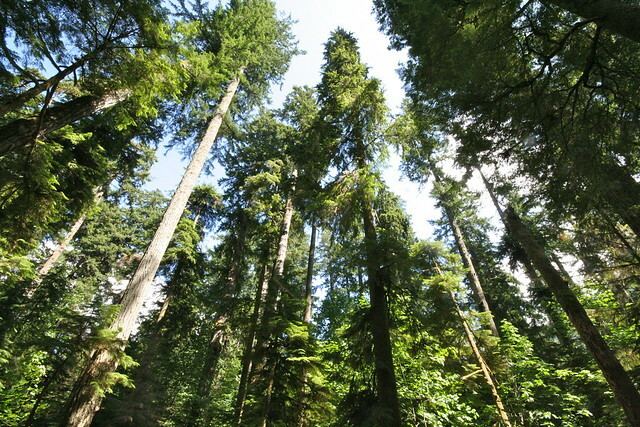 Though it may seem a little early, I figured that the more that I accomplished during that visit home, the less I would have to do back in BC (and then transport back), or try to finish up when I return next month. Many of the projects were small and tedious, and I will wait until I share the whole party with you to show those. However, one project I tackled, was a ton of fun, and I just couldn't wait to get it up on here. Next, I decided that I loved the banners on that first image as well so "To Halle's" would be the next words I would add, inside of the banner, using a different font. Again, I freehanded everything before I went over this whole section of the banner in a fine tip black marker. Everything then got filled in using black. 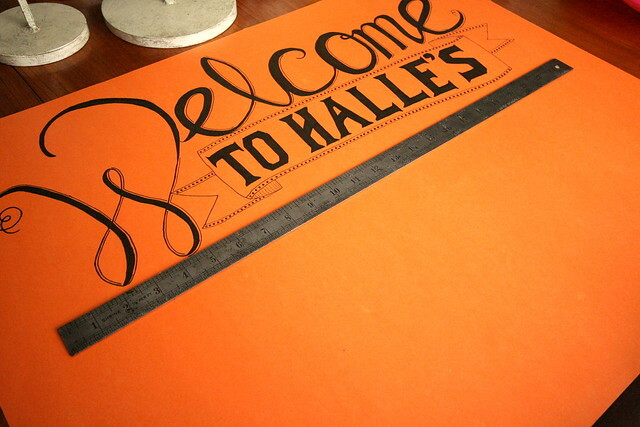 I decided to do this now since I was happy with this part of the sign. I figured that way if I made any major mistakes below, I wouldn't have to worry about erasing any of the things I really liked. I was able to finish up most of the sign before we had to leave to head back here to B.C. I still need to shade in the "shadows" behind the letters in "Birthday" and I plan on drawing something next to the word "party" - I still have to decide what to put there though. Probably something puppy related, as that will be the theme of her second party. 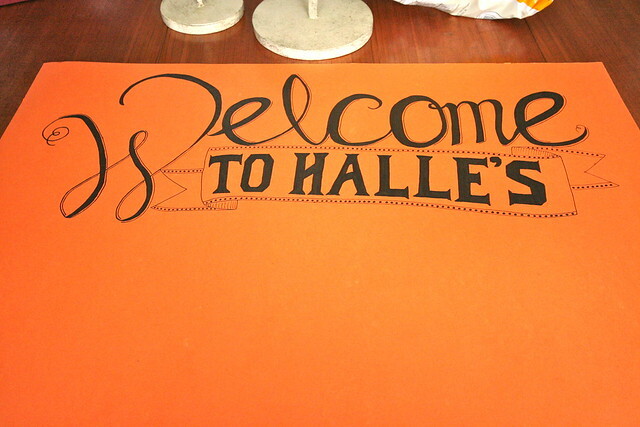 This was really my first attempt at trying out fancy lettering like this. I could use some improvement, but I'd say for a first try it turned out pretty good. 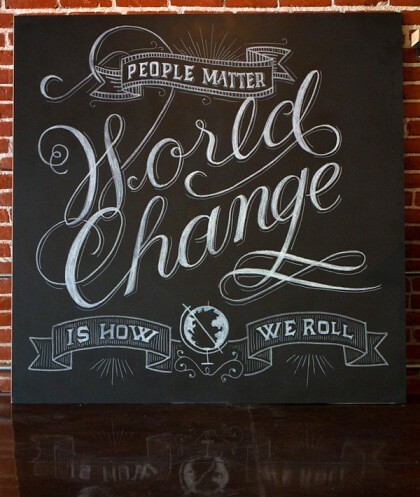 What'd really like to do is try out some fancy chalkboard lettering like those in my inspiration. 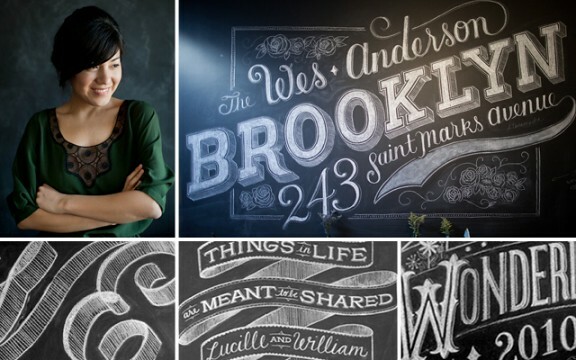 Have you ever done it - on paper or chalkboard? I'd love to know, and if you have them, I'd love to see some photos as well! Motherhood has changed me in ways I had never expected. 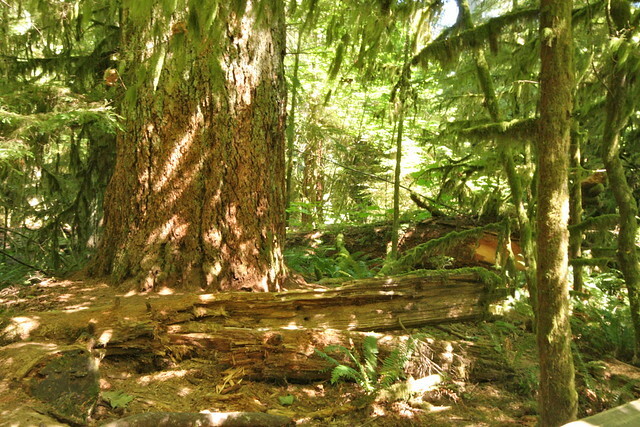 It has taught me a lot about being patient and observant and a lot about being present. This past year has brought me so many new experiences - like love and joy that I never even imagined being able to feel. Being a mother also brought new meaning to the phrase, "The days are long, but the years are short"... because it's so true. Some day seem to drag on forever, but now that we have made it to the one year mark, I find myself wondering where time has gone. How did she become such a little woman? So, this post has been written well in advance so that I can take today to focus on my baby girl, celebrating her life and just enjoying some time with her. 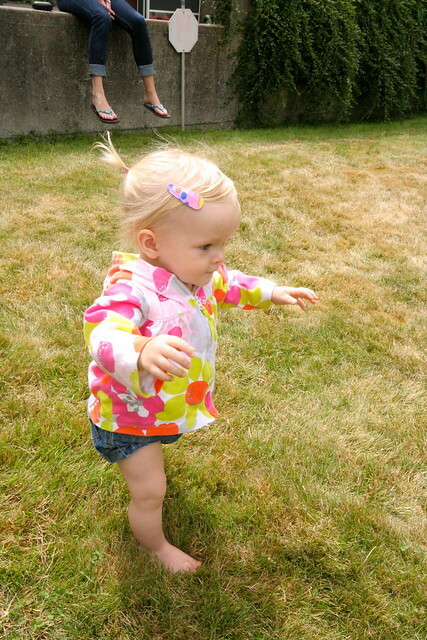 The days are so fleeting and I want to make today all about her, and do everything with her that she enjoys - like swinging on the swings, playing with the puppies, going for a walk... and we'll probably squeeze eating some ice cream in there too (along with lots of other fun things). Did you see the gorgeous table that Elizabeth painted? Stunning - especially those gold "dipped" legs! I love great transformations like this! Last Friday, I was really excited to discover This Paper Ship, over on Oh So Beautiful Paper, especially since I'm looking for pieces and inspiration to help dress our walls. Such fun, pretty prints, my favourite being the one below. 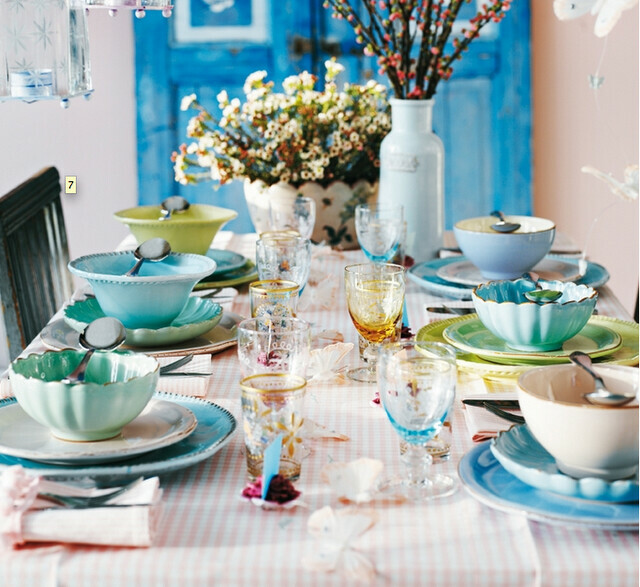 Some beautiful tablescape inspiration from Décor de Provence this past week. 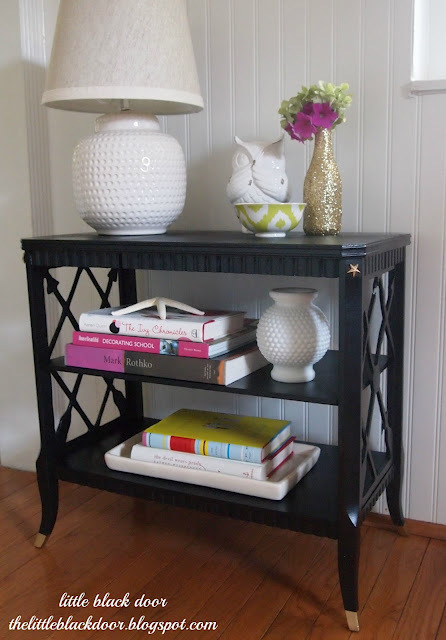 The one below really jumped out to me - why not mix and match when you are entertaining? 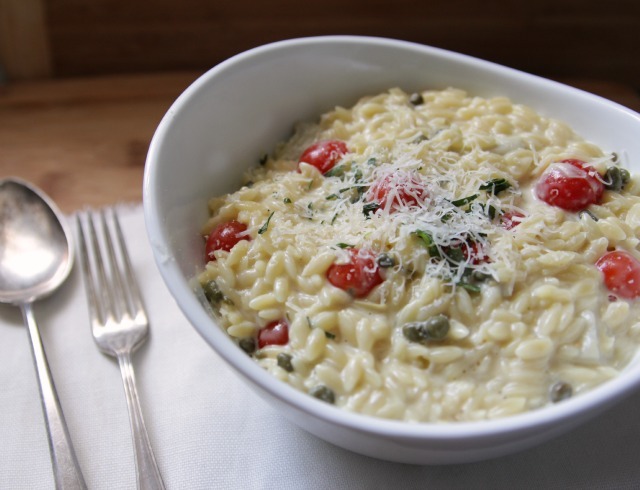 Thinking of hosting a party next Friday to kick off the Olympic games? 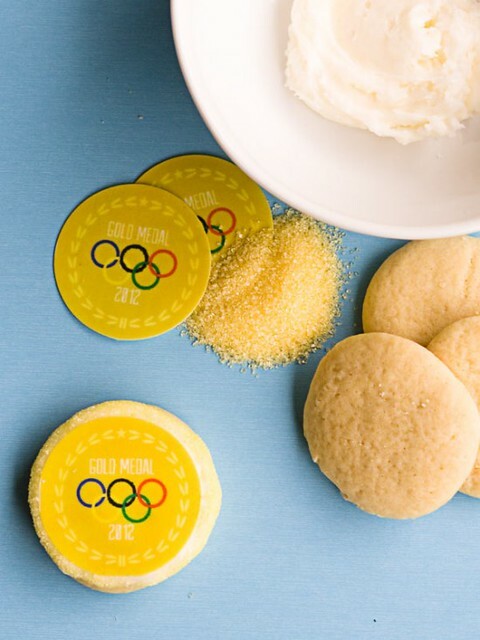 How cute are these Olympic Gold Medal Cookies from One Charming Party! So Fun! 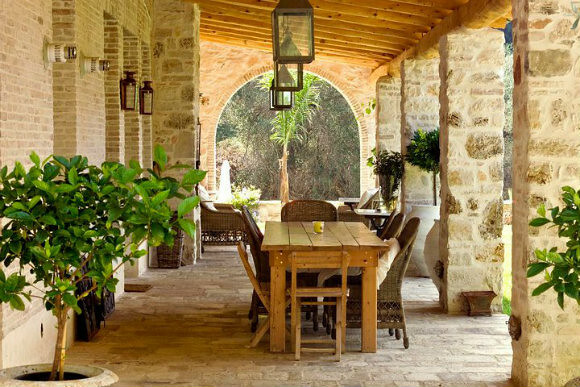 Did you see the stunning Villa Cecilia over on A Diary of Lovely. Such a beautiful building - anyone else want to rent it out? Well, as you may imagine this weekend will be all about getting settled again. 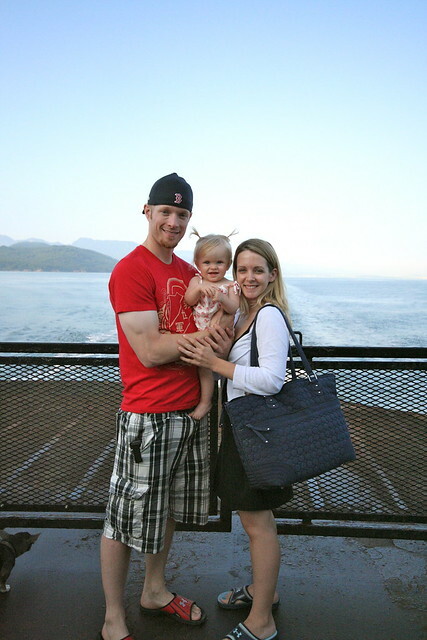 As much as I enjoyed my time back in Boston and Toronto, I'm happy that we are all together again as a family of three... just in time for Halle's birthday weekend too! We'll be having a small gathering of people around on Sunday to celebrate Halle, other than that - nothing huge in the works. Probably working on dressing these walls, and if you've been following me on Facebook, we're hoping to be picking up a craigslist headboard for our bed. What are you up to this weekend?